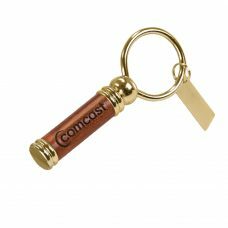 Cosmo Fiber is in business to provide a wide range of excellent promotional products, from ballpoint pens to digital cameras. 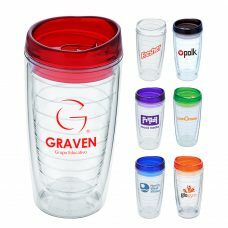 We have been in the promotional products industry for over twenty years and are rated annually as one of the top suppliers. We are a straight-A and 5-star supplier. Cosmo Fiber is dedicated to offer hundreds of distinctive products at reasonable prices. Please take note, Cosmo Fiber markets only to promotional product distributors and is not a retail company. If you are an individual or retail business searching for custom imprinted products, please contact your local distributor. Among our products are beautiful brass metal pens and pencils, picture frames, alarm clocks, genuine leather portfolios, and travel mugs. Yearly, Cosmo Fiber adds new lines of gift sets and promotional items. We count among our long-standing customers many of the Fortune 500 companies and international corporations. Our 70,000 square foot manufacturing facility allows us to operate a complete in-house decoration process. At Cosmo Fiber, we are experts in all types of custom logo imprinting, including precision laser engraving, silk screening, and debossing. 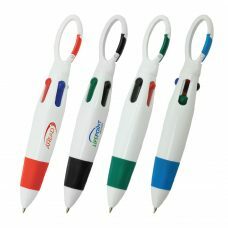 Our hundreds of satisfied customers look to us to provide top-quality promotional products to enhance their image. Personal Care Keychains Gift Sets … and much more! Did you know that the promotional products industry has been around for centuries? Before the days of ASI, PPAI, and Sage, and before the term “promotional product items” even took meaning, figures of importance such as President George Washington and England’s King George had imprinted commemorative images and text for certain celebratory events in the late 1700s using buttons and cards. The mid-19th century, however, was the first ever recorded promotional project. Taking place in Coshocton, Ohio, Jasper Meek, the owner of a printing press, teamed up with his comrade, Mr. Cantwell, owner of Cantwell Shoes, and made promotional history. Wanting to generate more revenue for his printing press, Meek came upon the idea of promotional imprinting after seeing a young girl drop her school books on the dirt floor. He approached Cantwell with the proposal of imprinting “Buy Cantwell Shoes” upon burlap book bags to be given out to customers who shopped at Cantwell’s. Cantwell agreed and soon children all over town were advertising for Cantwell for free. Cantwell’s store experienced an influx in sales due to the promotional venture, and both he and Meeks unknowingly become transcribed in history as the originators of this ad specialty arena. Since then, the promotional products of the moment have continually changed throughout our dynamic times; from calendars to rulers and pencils, to pens of all shapes and sizes after technological advancements in the mid-1900s, and now to almost anything that we can get our hands on. The industry is constantly evolving and is a growing, promoting creature. And just as the industry had evolved, so did Cosmo Fiber. During the company’s inception, however, Cosmo Fiber did not play a role in the promotional industry at all. Rather, our company initially started in the recycled paper and recycled paper materials import/export business back in the year 1990. Hence the name “Cosmo Fiber” had been born with the intentions of “Cosmo” meaning worldly and “Fiber” referring to the paper business. By working with nationwide collectors of recycled paper materials, Cosmo Fiber had actually begun participating in the green movement almost two decades before the focus on being environmentally-friendly had sparked. Yet within a few years, our company operations expanded so that our recycled paper products were exported to China, but then came back as recycled notebooks, journals, portfolios, and the like. Cosmo Fiber then began imprinting upon these staple office products. Naturally, with the involvement of notebooks and organizers, came the connection to pens and writing instruments. It was like adding peanut butter to the jelly sandwich equation: It just made good sense. 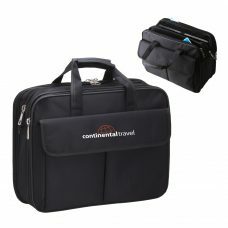 From then on, we’ve continually been adding promotional products to our line every year, with product line expansions such as office accessories, small electronics, drinkware, bags and backpacks, and portfolios and padfolios. We also continue to aid in the minimization of the business sector’s carbon footprint upon our earth by promoting recycled products or resource saving items for our eco-savvy shoppers. In particular, in addition to specially educating and training our staff members with regards to today’s green society, we’ve also made that information readily available, digestible, and easily relayed to end-users. During these past 20 years, Cosmo Fiber has been proud to be your one-stop-shop supplier for all your promotional needs. We thank you for continuing to be a part of our legacy.